Growing up in a christian family and background, I must admit (shamefully), I ain’t a very strong christian believer…. Yes I do believe in the good Lord, but my faith isn’t that strong, it does get shakened when I’m in the ditch, sometime I even question if He is even there with me or not…. Time and again, He does show Himself, bless my family and I, protect my family and I…. So thankfully, daddy remember to check the tyre pressure, including the spare tyre, before we start our 6 hour long journey home…. The journey throughout was relatively smooth, however along the trunk road, I smelled burnt rubber smell however daddy said it was probably the roadside smell…. 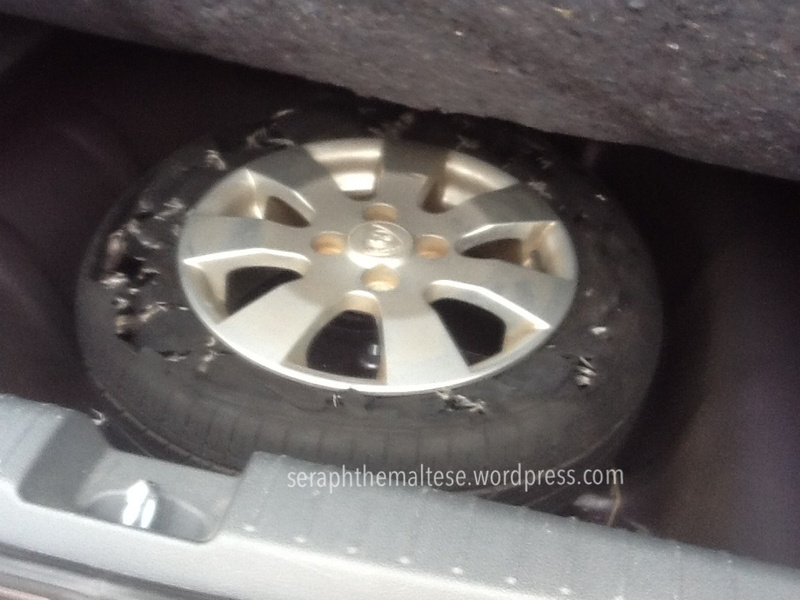 Nothing happened and we continued on our journey unto the highway…. Lo and behold! Suddenly we heard loud rumbling sound but the car was still stable, so we initially thought it was the sound of newly tarred road…. But the sound grew louder, thankfully there was not many cars on the road as it was already passed midnight…. besides that, we were nearing an interchange, so there were street lamps compared to the dark and lonely highway…. 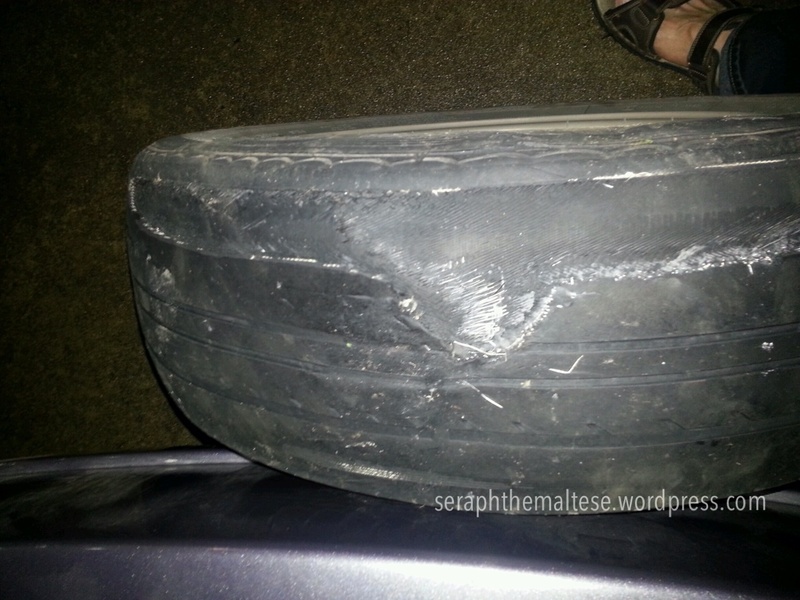 Daddy quickly got the car to the emergency lane to check the tyres…. For once, I was thankful for highway patrol cars! There was one travelling on the opposite side, they stopped and cross the highway to see if there was any help needed… So with their help, daddy managed to change the tyre and got back home safely! Time and again, God provides us with His protection to show that He is there…. We are so grateful to His grace! Plus, with the increasing crime rate of this country, thank God it wasn’t bogus/dishonest personnel out to rob helpless drivers or daddy did not need to stay too long on the quiet and dark highway, at risk of being knocked down or robbed by bad people…. I must make a conscious effort to always remember the things He did for us, rather than doubt and question Him in times of troubles, but instead learn to trust and rely in Him more….